1/12 In less than a week, the Paris Saint-Germain won the Ligue 1 and qualified for the quarterfinals of the Champions League. 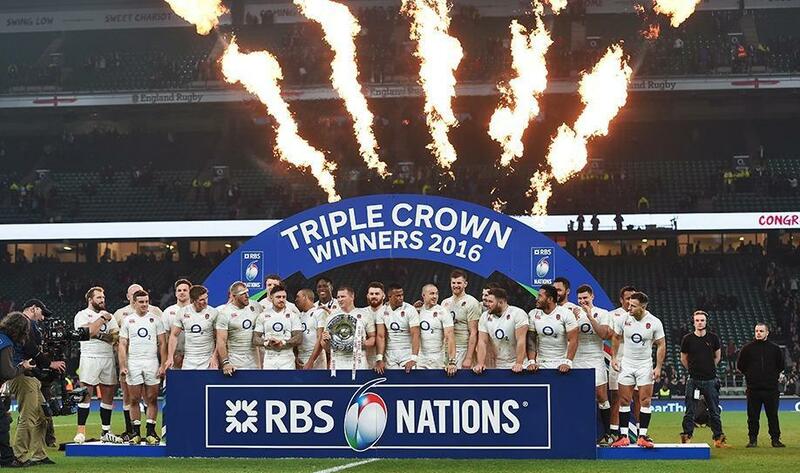 In other sports, England won the 6 Nations. 2/12 Troyes 0-9 Paris Saint-Germain: Ibrahimovic scores FOUR as title wrapped up in style: Paris Saint-Germain secured a fourth consecutive Ligue 1 title in stunning style, thrashing Troyes 9-0 in a club-record league victory. 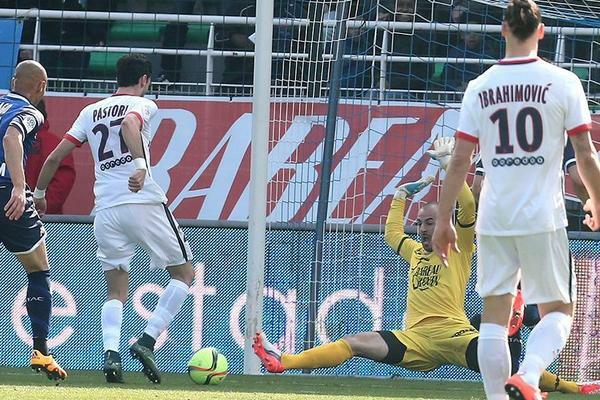 Edinson Cavani, Javier Pastore and Adrien Rabiot had the champions three goals up within 19 minutes against the bottom-of-the table hosts. 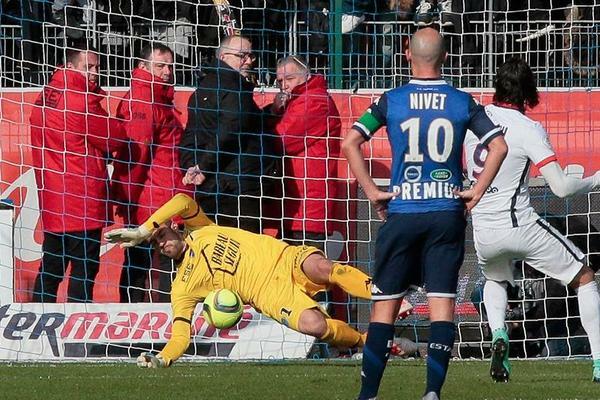 Zlatan Ibrahimovic moved past 100 Ligue 1 goals with a stunning hat-trick in under 10 minutes at the start of the second half, before Matthieu Saunier's own goal and a Cavani rebound from his own missed penalty piled the misery on Troyes, who ended with 10 men after Lossemy Karaboue's red card. 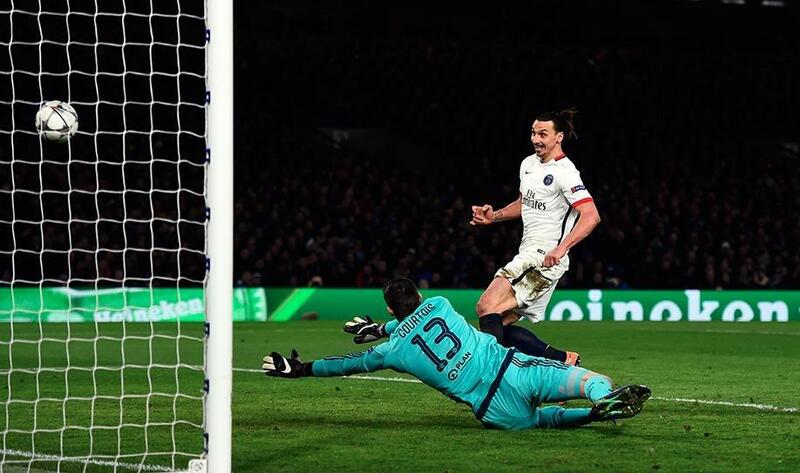 Ibrahimovic added his fourth of the afternoon with two minutes. 3/12 Troyes 0-9 Paris Saint-Germain: Ibrahimovic scores FOUR as title wrapped up in style: Paris Saint-Germain secured a fourth consecutive Ligue 1 title in stunning style, thrashing Troyes 9-0 in a club-record league victory. Edinson Cavani, Javier Pastore and Adrien Rabiot had the champions three goals up within 19 minutes against the bottom-of-the table hosts. 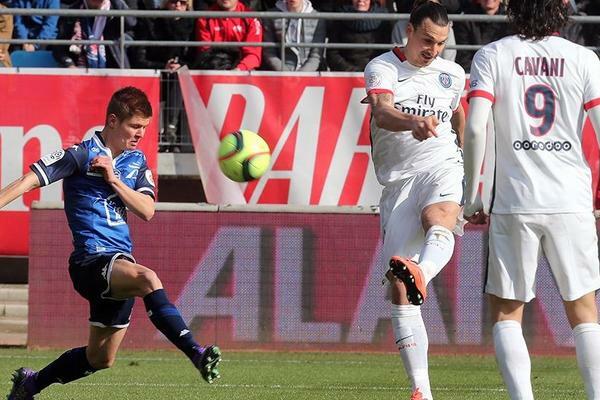 Zlatan Ibrahimovic moved past 100 Ligue 1 goals with a stunning hat-trick in under 10 minutes at the start of the second half, before Matthieu Saunier's own goal and a Cavani rebound from his own missed penalty piled the misery on Troyes, who ended with 10 men after Lossemy Karaboue's red card. 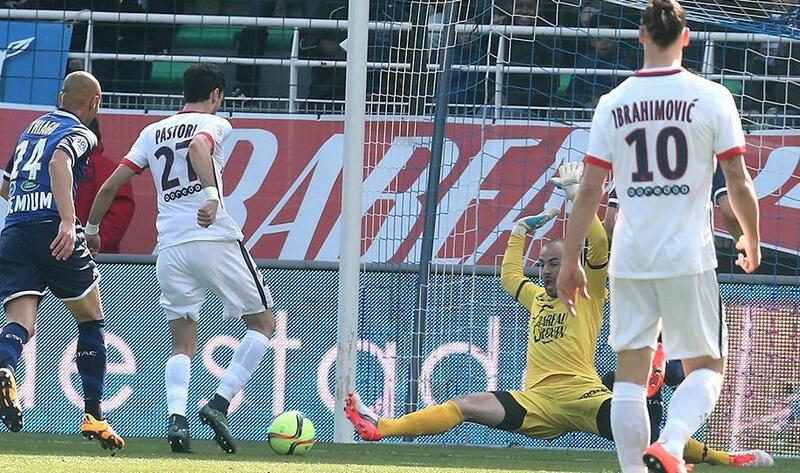 Ibrahimovic added his fourth of the afternoon with two minutes. 4/12 Troyes 0-9 Paris Saint-Germain: Ibrahimovic scores FOUR as title wrapped up in style: Paris Saint-Germain secured a fourth consecutive Ligue 1 title in stunning style, thrashing Troyes 9-0 in a club-record league victory. Edinson Cavani, Javier Pastore and Adrien Rabiot had the champions three goals up within 19 minutes against the bottom-of-the table hosts. 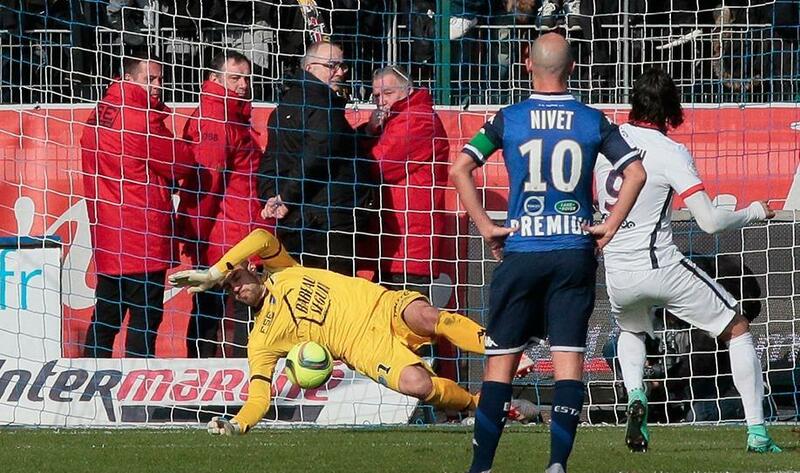 Zlatan Ibrahimovic moved past 100 Ligue 1 goals with a stunning hat-trick in under 10 minutes at the start of the second half, before Matthieu Saunier's own goal and a Cavani rebound from his own missed penalty piled the misery on Troyes, who ended with 10 men after Lossemy Karaboue's red card. 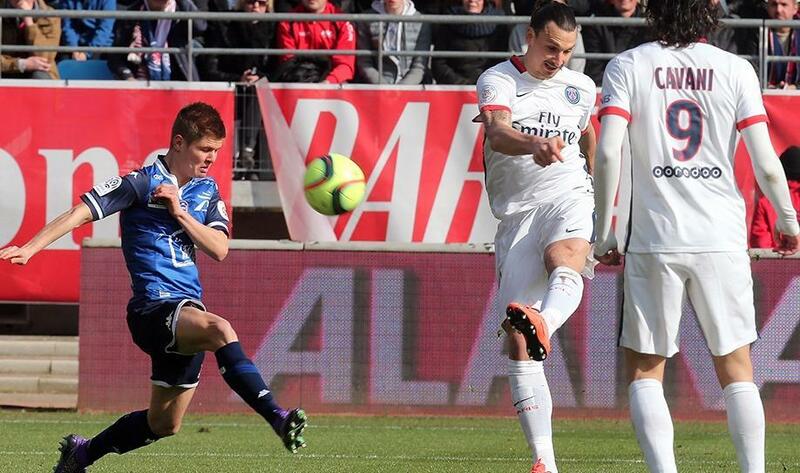 Ibrahimovic added his fourth of the afternoon with two minutes. 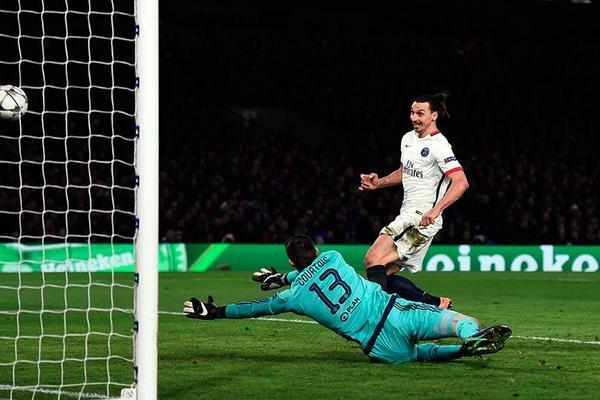 5/12 Chelsea 1-2 Paris Saint-Germain (agg 2-4): Zlatan strikes to end Blues dream: Zlatan Ibrahimovic was in imperious form to end Chelsea's Champions League campaign, as the striker helped Paris Saint-Germain seal a 2-1 victory at Stamford Bridge which made it 4-2 on aggregate to the Ligue 1 side. The Sweden superstar created the opening goal for Adrien Rabiot. Diego Costa's all-action performance was deserving of his 27th-minute equaliser. Later, Ibrahimovic made no mistake on the end of Angel Di Maria's 67th-minute cross, granting him the centre-stage he so often craves and occupies as PSG progressed. 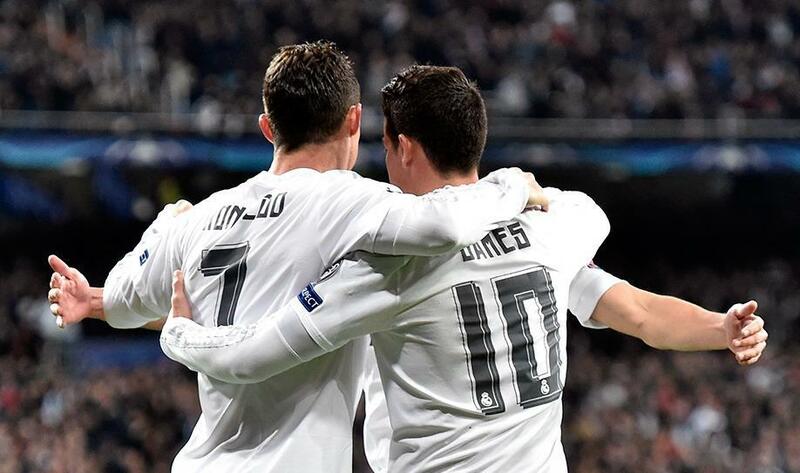 6/12 Real Madrid 2-0 Roma (agg 4-0): Ronaldo & James send Blancos through: Goals from Cristiano Ronaldo and James Rodrguez eased Real Madrid into the quarter-finals of the Champions League despite a difficult night against Roma. 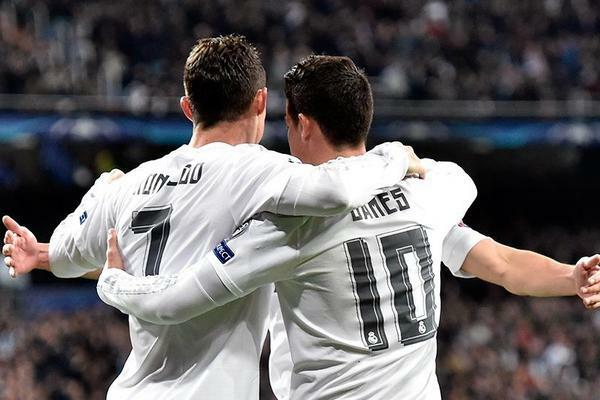 After a first half in which Madrid attempted 18 shots without success, Ronaldo broke the deadlock, before teeing up James for the second. 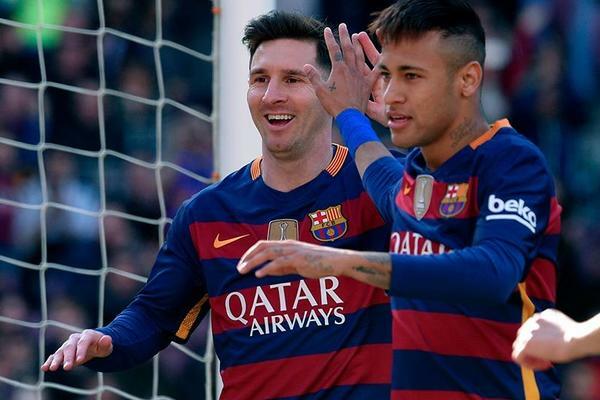 7/12 Barcelona 6-0 Getafe: Neymar and Messi both convert in thrashing: An inspired Lionel Messi responded to another penalty miss in style as Barcelona routed Getafe 6-0 at Camp Nou to take another step towards defending their Liga title. Juan Rodriguez's own goal gave Barca the lead and Getafe provided scant evidence that they believed in a comeback, even after Messi missed his fourth league spot-kick in eight attempts this season. 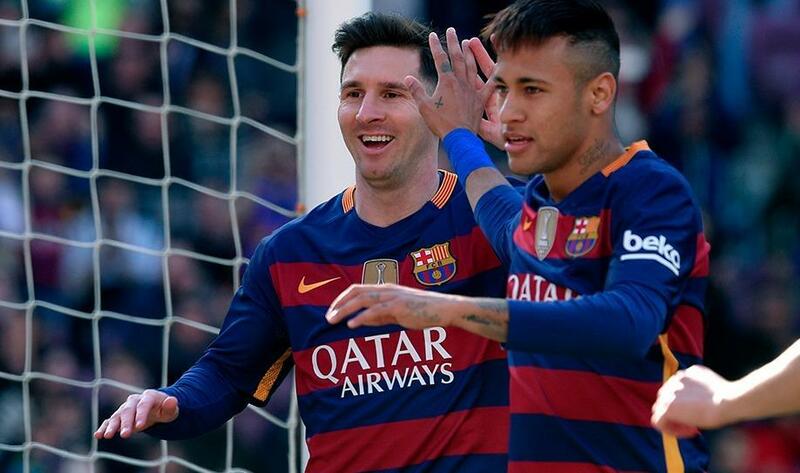 Munir El Haddadi doubled the lead from Messi's cross and the Argentine played in Neymar to score the third as Barca breezed through the visiting defence at will. Messi produced more magic to fire in a fourth before half-time and another fine through-ball allowed Neymar to make it five, before Arda Turan's clever finish from close range gave the home side their sixth inside the opening hour. 8/12 Benzema's Euro 2016 dreams back on track after banning order lifted: Karim Benzema's hopes of making the France squad for Euro 2016 have received a timely boost, as a judge removed restrictions against the player related to blackmail charges. Benzema stands accused of involvement in a blackmail plot against international team-mate Mathieu Valbuena, and faces charges of criminal conspiracy. 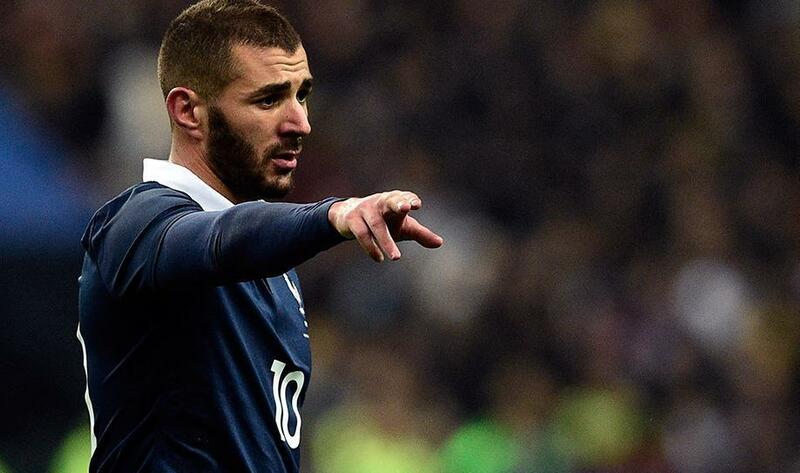 The forward was barred from contacting Valbuena, ruling him out of Didier Deschamps' squad. 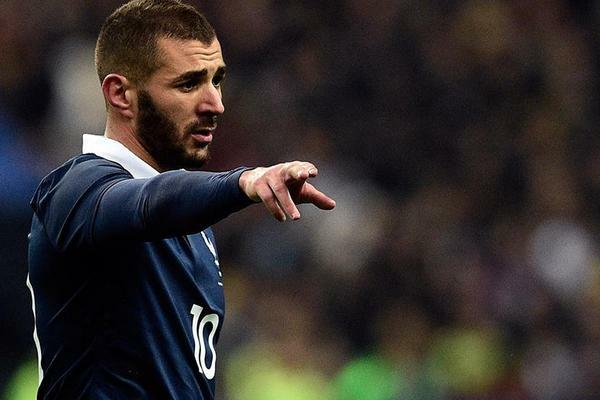 The Versailles Appeals Court, however, under the instruction of judge Nathalie Boutard, has decided to lift the order, which has been in effect since Benzema was called to testify in February. 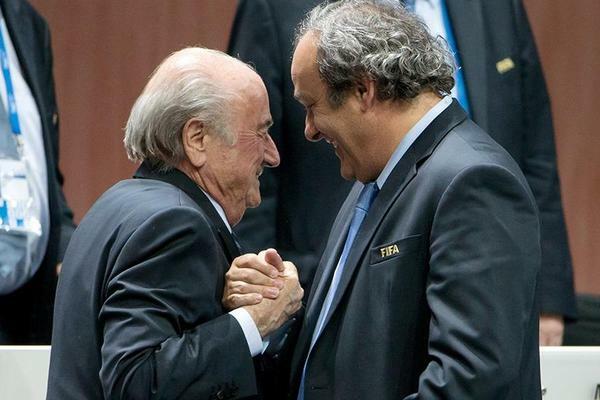 9/12 French Federation offices searched & documents seized in connection with Blatter case: The Office of the Attorney General of Switzerland (OAG) has searched the offices of the French Football Federation (FFF) in connection with the criminal proceedings against former Fifa president Sepp Blatter. 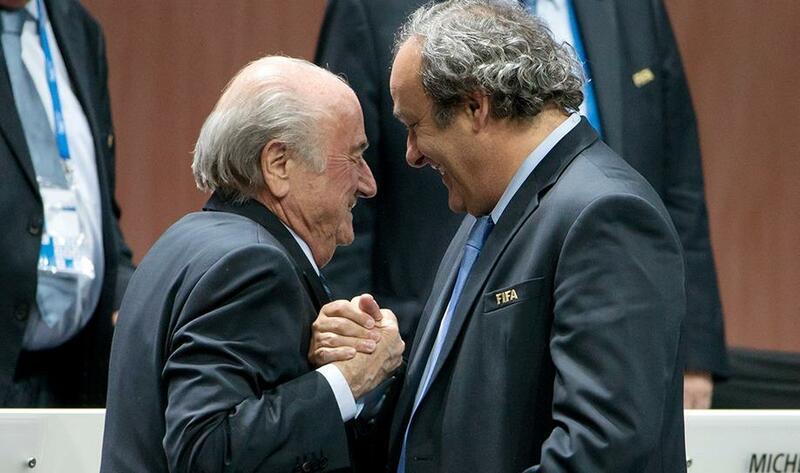 As part of that investigation, the French Financial Prosecution Office searched the FFF's offices in Paris, with documents relating to the suspected payment from Blatter to Michel Platini in 2011 seized. 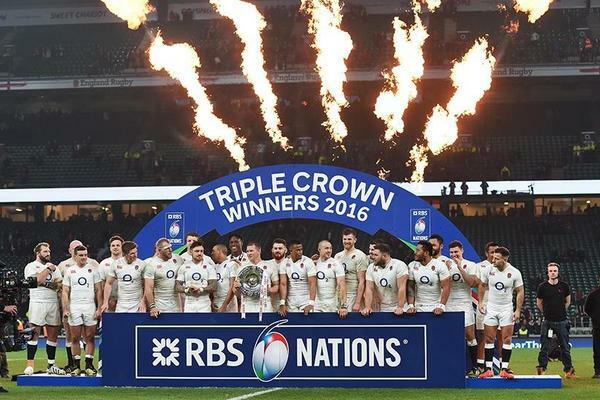 10/12 England win Six Nations after Scotland beat France: England were crowned Six Nations champions after Scotland shattered France's title hopes with a pulsating 29-18 victory at Murrayfield. Les Bleus needed a win to have any chance of denying England the title, but Scotland ended a 10 match-losing run against France stretching back a decade and ensured the destination of the trophy will not hinge on next Sshowdown in Paris. Earlier, the British captured their fourth win of the tournament after beating Wales 25-21, which gave them their 25th Triple Crown after beating Scottish, Irish and Welsh. 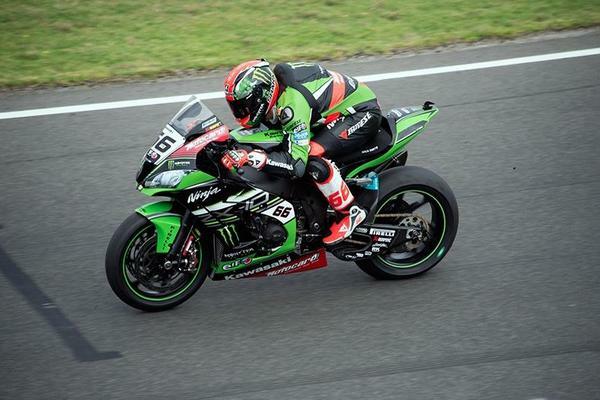 11/12 World SBK: Tom Sykes Beats Jonathan Rea in Three-Way Fight in Thailand: Kawasaki Racing Team’s Tom Sykes has taken an incredible victory in a three-way fight for the win at Chang International Circuit in Thailand. 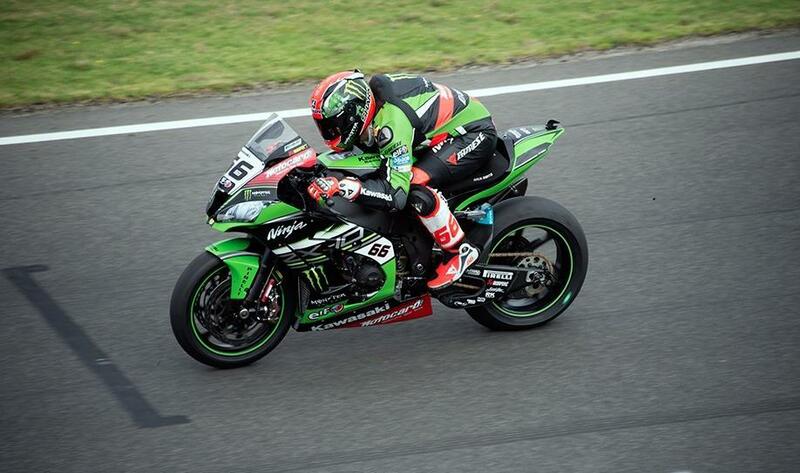 The Yorkshireman was locked in a battle with teammate and reigning Champion Jonathan Rea and Aruba.it Racing – Ducati’s Chaz Davies for most of the race, with some of the most electrifying maneuvers of the last few seasons exchanged between the three. 12/12 Nike suspends relationship with Maria Sharapova: Finally, Nike has suspended its relationship with Maria Sharapova following the five-time grand-slam champion's failed drugs test at the Australian Open earlier this year. Former world number one Sharapova revealed that she tested positive for Meldonium at the season's opening major in Melbourne in January. 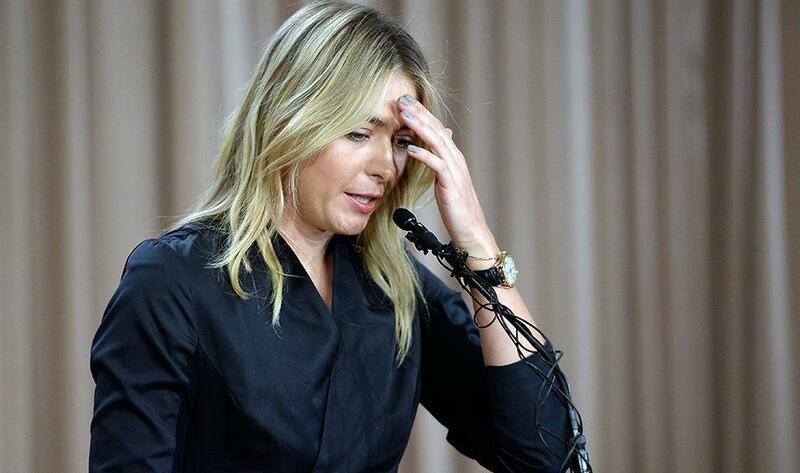 Sharapova had been taking Meldonium for a decade due to health reasons and said she was not aware it was added to the World Anti-Doping Agency's (WADA) list of prohibited substances as of January 1 this year.